Government has ordered businessmen and residents to stop operating in Apaa Market, located on the contested land claimed by both Amuru and Adjumani Districts. The market located in Apaa trading center brings hundreds of businessmen and customers from both districts. Agricultural products is a main the main commodity in the market. Apaa market was previously in Pabbo Sub-county, Amuru District before government forcefully demarcated the land on which the market is located in October 2017 and handed it to the Adjumani local government. In a letter dated April 10, the Uganda Wildlife Authority [UWA] Warden In-charge of East Madi Wildlife Reserve Mr Tony Olinga Bogere indicated that the last market day was Friday April 12. According to Mr Olinga, the residents will not be expected to operate the market any further after April 12. In his letter, the UWA official said what until now has been known as Apaa market has since been moved to Zoka Center in Zoka Parish, Itirikwa Sub-county, about 10 kilometers inside Adjumani District. UWA says the market was located in a protected area. “We want to therefore inform all the residents that the last market day for Apaa market is on Friday April 12. No one shall be allowed to operate in the market from April 15. We call upon all residents to abide with this notice to avoid any inconvenience that might come due to failure to follow the directive,” Mr Olinga’s letter reads in parts. Government claims that locals’ majority of whom Acholi encroached on 827 Sq Km land gazetted as the former East Madi Controlled hunting area located in Adjumani district. The latest directive by government to shut down Apaa market has however sparked outrage among locals and district officials. In August last year, President Museveni called for formation of an eight-member team from both Acholi and Adjumani district to discuss his three key recommendations on solving the Apaa land squabbles. 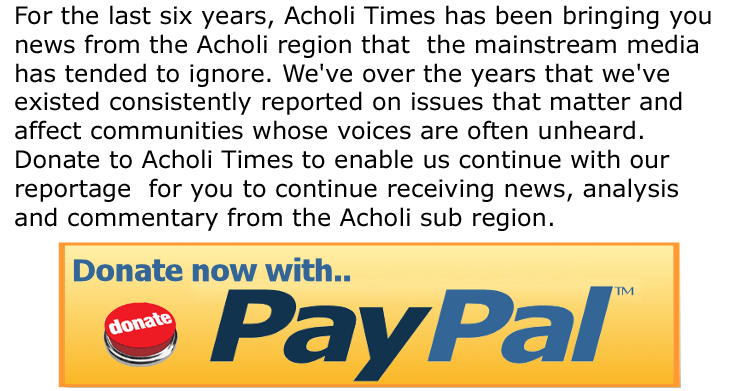 The recommendations included relocating the settlers to Acholi area and be supported and compensated by government; allowing genuine land owners to settle on the land without further expansion to the gazetted areas and offering a portion of land nearer to the population area in Adjumani Town which is outside gazetted land. “We are confused by many directives being issued by government on us the residents of Apaa. The president made his recommendation but before they are implemented another directives has come in. We don’t know what to do and who to seek help from,” Mr Omony told Acholi Times in an interview on Friday last week. Omony argued that the directive to relocate the market will leave many people who earn their livelihoods through selling goods in vulnerable situation. The Adjumani District Chairperson James Leku however said the decision to relocate Apaa market is in the interest of the district and has long been in the pipeline. “The prime Minister’s decision has come long after our council resolved to relocate the market. The relocation is not in bad faith because the traders won’t be stopped from conducting their businesses, the new venue is also predominantly occupied by the Acholi tribe and that shouldn’t be a problem,” Mr Leku said. He noted that ever since resurgence of conflict over the land in the last six month, the sub-county officials in Itirikwa never collected revenue and ground taxes at the market because the traders refused to pay allegiance to them. But his counterpart in Amuru district Michael Lakony described the directive is a double sword decision undertaken by the Office of the Prime Minister and the president minus consulting the team they constituted to negotiate over the land. Lakony said the decision to relocate the market is not welcome adding that people should not be displaced from an area they have already developed for their business and settlement. In February this year, cabinet resolved that locals who are victims of the Apaa land conflict be resettled with building materials and money after assessing damages. According to a memorandum, the victims are to be given a package of Shs 10 million, 20 iron sheets, 20 bags of cements, and Shs 2 million. The process of compensation is to be spearheaded by Office of the Prime Minister, Lands Ministry and Northern Uganda State Minister Grace Kwiyucwiny. Locals have however rejected the government’s plans to relocate and compensate them. 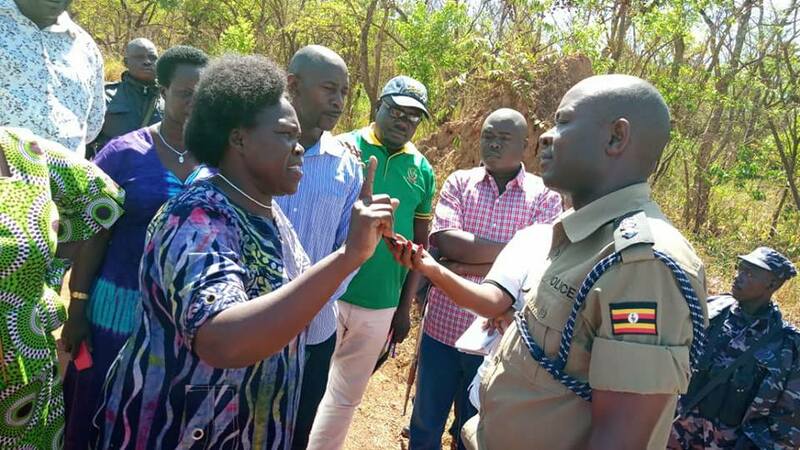 A team of six-member committee named by Speaker of Parliament, Rebecca Kadaga on March 6 are expected to pay visit to Amuru, Gulu and Adjumani districts next week as they make inquiries into the Apaa land crisis. The teams were named after complaints arose that the members of Parliament from Acholi and Adjumani districts were tabling bias reports on the Apaa before parliament.